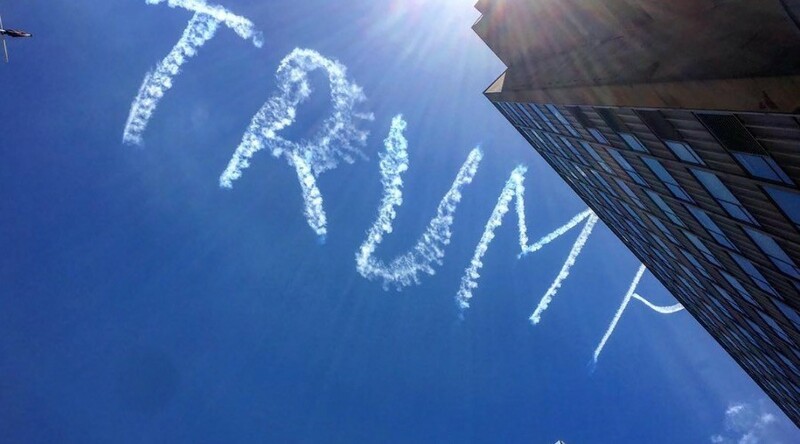 Skywriters emblazoned “Trump” high in the sky over a sunny Sydney as approximately 10,000 people took part in a march in support of women’s rights. The Sydney march was part of a worldwide series of demonstrations calling for the protection of civil liberties in the wake of Donald Trump's inauguration as president of the United States. Well over one million people around the world attended marches, with the largest taking place in Washington, DC. In an antagonistic move, a Trump supporter in Sydney paid a skywriting company to print the new US president’s name high in the sky as demonstrators marched below. The job was carried out by Skywriting Australia at a cost of $4,000. A spokesperson for the company told The Guardian that the clients, who wanted to remain anonymous, specifically wanted the message to appear during the Women’s March. The writing seems to have baffled and irritated locals in equal measure, with many taking to social media to comment. Many of the messages aren’t suitable to be published on this website. The Sydney Women’s March was attended by between 8,000 to 10,000 people, according to the Sydney Morning Herald, with a march in Melbourne drawing a further 5,000.